Who doesn’t dream of working and living on a tropical island? 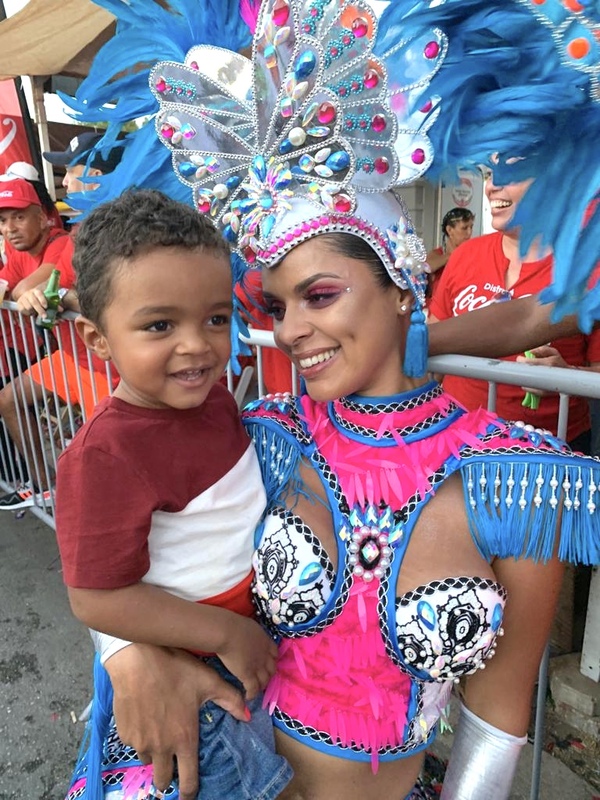 Gala Serré, known from “My Bikini Musthaves“, left Amsterdam a few months ago to settle permanently with her family on Curaçao. In this interview I ask her what it is like to give up the Netherlands and if she found her home on Curaçao. Furthermore she shares her personal tips with us with the nicest places on the largest island of the Netherlands Antilles. Read along? 1. I know you from a few years ago through Instagram. Meanwhile you blog fanatically on your new website Cocktails & Curacao. Tell me, how did your blog originate? The idea for my blog Cocktails & Curacao arose in the run-up to our move. I think it was the end of summer 2018 when I decided to keep a blog. Apart from the fact that I really love writing I wanted to have a way to keep my friends and family in the Netherlands informed about my life here. This can of course be done via Facetime and Whatsapp, but I really wanted to put more context in it. I also thought it would be interesting for other people who also want to come this way to give them some kind of insight into my life. 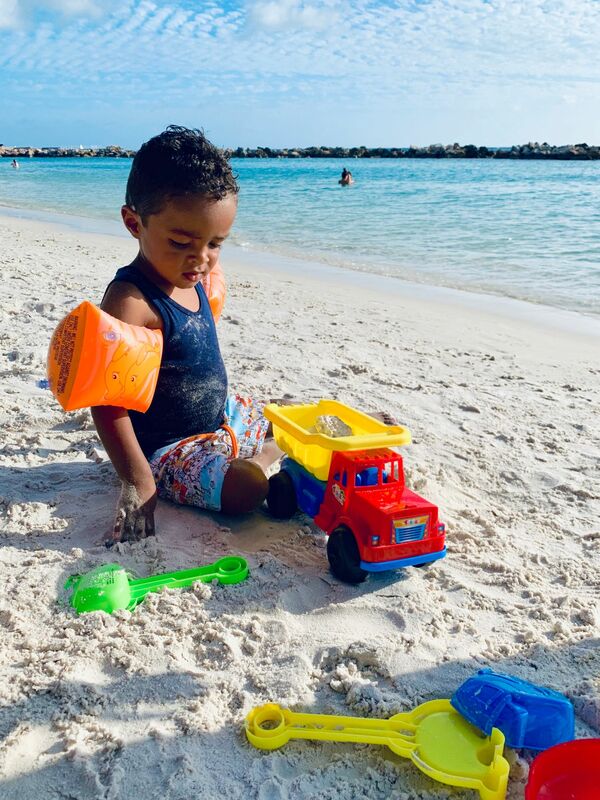 About a month before we left for Curaçao my site went live and since then I blog every week about the things I experience. 2. 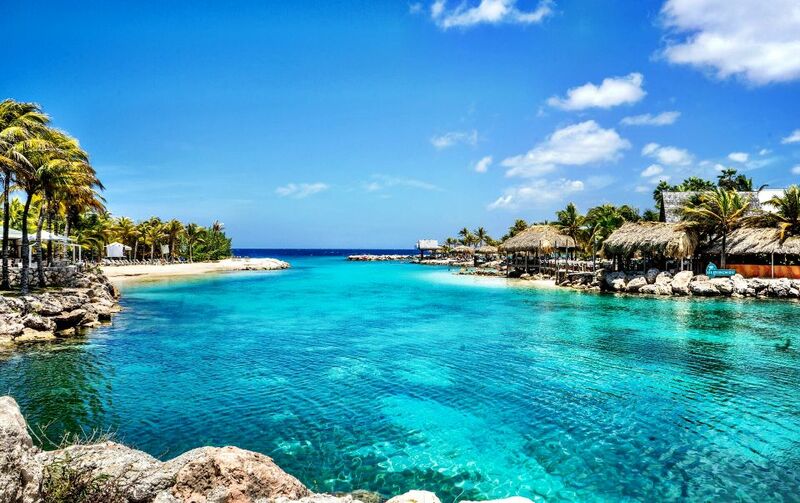 A few months ago you and your family moved to Curaçao. How do you like life there and what are you missing or not missing from the Netherlands? Life here pleases! Of course I get this question very often and I have to admit that this new adventure so far has been very positive. It is such a different way of life than in a city like Amsterdam. Very relaxed and the people here are generally very friendly and happy. You enjoy the little things in life more and the fact that the weather is always nice does a lot for your mood. But of course I occasionally miss the Netherlands, especially Amsterdam. When I see photos or movies on Instagram of people who are in places where I often came, I sometimes miss that. But that is really a snapshot. What I absolutely don’t miss about the Netherlands is the cold weather, haha! And the rushed life I did lead. I never really noticed that myself until I went to live here on Curaçao, when I actually noticed how often I was stressed or grumpy and often also for small things. But cycling on the canals, walking in the Vondelpark, the range of restaurants and shopping, I can sometimes miss that yes. 3. Not so long ago you celebrated Carnival with beautiful costumes and lots of dance and music. How do you celebrate Carnival on Curaçao? Carnival on Curaçao is indeed one big party with dance, food, music and beautiful outfits. It is a real popular national feast and lasts a total of about two months. It contains several parades including the children’s carnival and the teen parade and everywhere there are fun parties. Everyone is looking forward to the ‘Gran Marcha’ with more than 25 carnival groups. Each group has its own trucks with bands that mainly play Tumba music and that create a cozy atmosphere especially for the people on the side of the road. 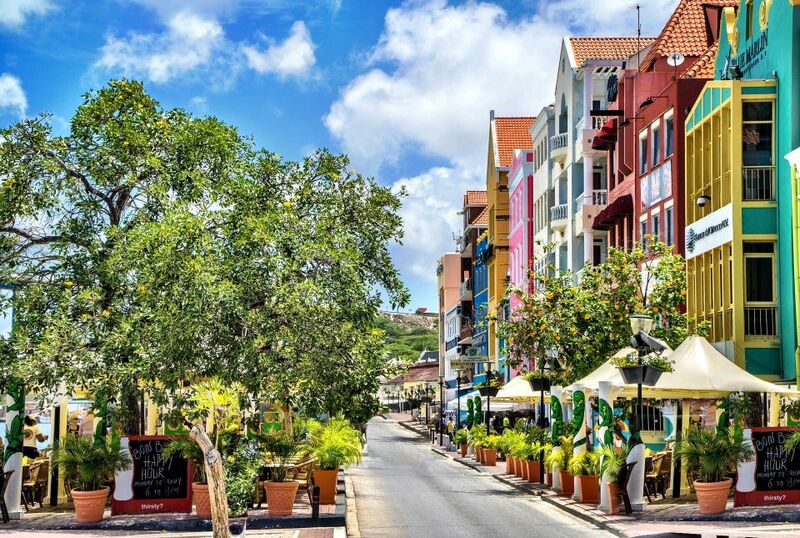 For over 4 hours there is dancing through the streets of Curaçao. Highly recommended if you are on Curacao! 4. You are mother of son Curtey (2 years). How do you like motherhood? I like motherhood very much! 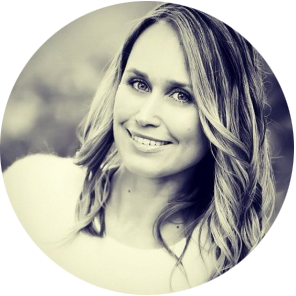 By coincidence, I recently wrote a blog post about the fact that motherhood really came at the right time for me. Of course it can sometimes be tough and challenging (Curtey only slept on for 2 years and then we rolled directly into the terrible twos) but I learn so much from it. Also about myself. I have grown in many ways since I was a mother. And many clichés about motherhood are true: the unconditional love you have for your child and the time that passes far too quickly. 5. We are of course very curious about all the nice (child friendly) places on Curacao. What are your ultimate tips? Beaches I like to go to with my Curtey are Lions Dive, Santa Barbara and Avila. It is quite quiet there and the sea is very calm, which I like when I am with Curtey. Besides that Santa Barbara and Avila also have a swimming pool which is nice for swimming. Beaches on the west coast of Curaçao are also super beautiful. Only a little further away, but not all beaches have restaurants so that is good to remember if you go with (small) children. One of Curtey’s favorite things to do is go to the Curaçao Children’s Museum. This children’s museum is located in an old country house and children can play both inside and outside. There is a supermarket reconstructed and there are all kinds of play areas where they can express their creativity. In the weekend I like to have breakfast at Hofi Cas Cora. They use a farm-to-table concept and there are also animals walking around. Besides that I like to go with Curtey to the Rooftop at Karakter, the Dolphin Academy and several petting zoos on the island. Maybe not necessarily child friendly but other favorites of mine are Mood beach with luxurious beach beds and tasty juices, 8 Experience Spa for delicious massages, Scuba Lodge boutique hotel for afternoon drinks by the sea. Mosa is my favorite restaurant on the island, Fishalicious for tasty fish dishes and Zest on the beach for a good old BBQ. Which is also great fun to go with the kids! 6. What are your plans for the coming year in terms of travel, private and business goals? When it comes to travelling, my boyfriend and I are now thinking a bit about what we want to do this year. In any case, we will go to Bonaire in May for a long weekend and probably somewhere in the summer to the Netherlands. But we also want to travel here in the region. Colombia is very high on my list. Just like Mexico, Cuba, Argentina and Brazil. Enough options! Further expand my site Cocktails & Curacao with (child friendly) hotspots and things to do. And another cool project but more about that later! Make at least 1 trip this year to a place where I haven’t been yet. Besides that I have lots of cool ideas and plans for my other blog My Bikini Musthaves so there I’m going to breathe new life into it again. And in a place like Curacao that should succeed, right?